UB product concern healthy usage of the product. For examples, as the seating healthy usage for the user which is necessary to provide the comprehensive function to support the activities of the user. Therefore, seating should be passed the test of BS EN 1335-:200 and UEPA method 3050A to suit the ergonomic for the body activities. 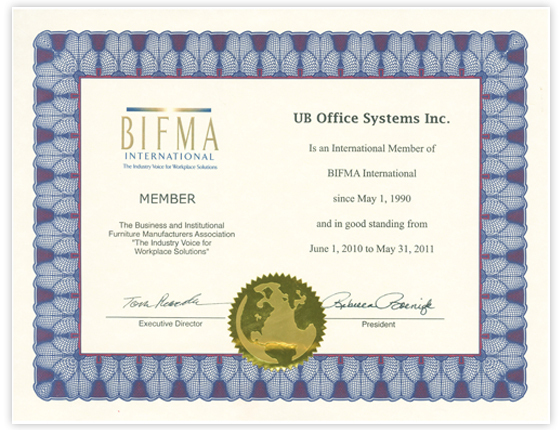 Since 1994, UB group has gained certifications of GB/T 19001-2000 IDT ISO 9001 and GB/T24001-2004-ISO 14001. 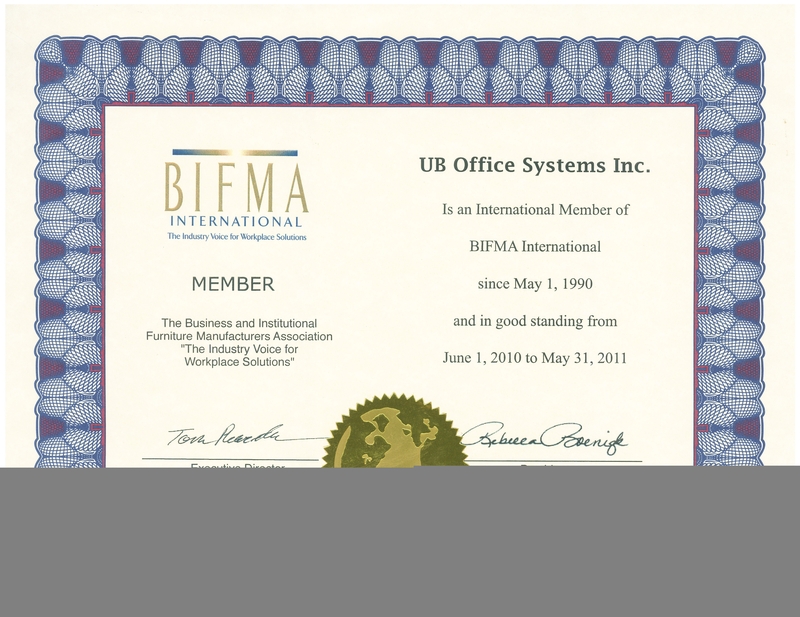 Moreover, UB is qualified as a BIFMA International member for the industry voice for workplace solution. Recently, UB's environmental program gained the confirmation from the China Environmental Label in 2006.